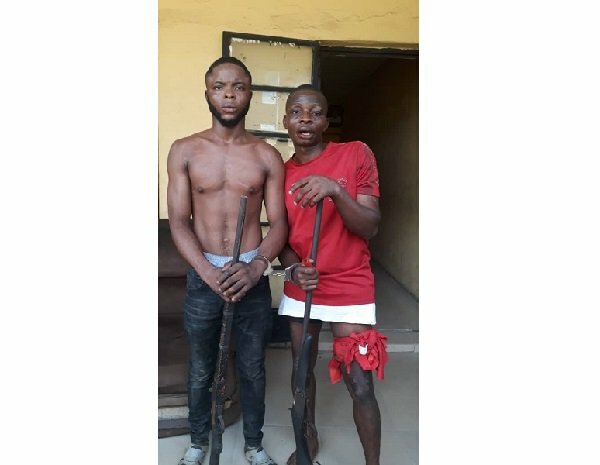 Two members of the gang that kidnapped Lagos State Fire Service boss, Rasaki Musibau and six others have been arrested. They were arrested in an operation led by the Command’s tactical teams led by the Officer –in- Charge of anti- kidnapping unit, SP Bulus R Musa, according to a statement by Lagos State Police spokesman, Bala Elkana. Musibau was kidnapped on Saturday at Ejirin, along the Epe-Itoikin road, Ikorodu. The suspects were arrested on Wednesday around 5:30am. Elkana said: “Blessing Bayo ‘m’ 29yrs and Smart Alfred ‘m’ 32yrs all of Arogbo, Ondo State were arrested at Ibafun along Ikorodu- Ijebu Ode Express way, a boundary community with Ogun State and they all confessed to the commission of the crime.